Restaurant Week is a twice-annual event where select New York City restaurants offer discounted lunch or dinner menus. This is a great opportunity to try restaurants that may regularly be out of your budget, or simply to try a different style of cuisine. Even though the prices are reduced, you can expect the same gracious service, and a variety of high-quality menu items during Restaurant Week as you would at any other time of year. New York City Restaurant Week is held over a few weeks in both the winter and summer. While the exact dates change each year, the winter Restaurant Week is typically held in late January or early February, and the summer Restaurant Week is usually in late July and early August. The restaurants that choose to be a part of this event changes each time Restaurant Week comes around. The list of participating restaurants is typically updated about five or six weeks before the event when selecting the top spots is the beginning of the reservation frenzy. Past participants include famed eateries like ABC Kitchen, Tavern on the Green, and Park Avenue Autumn/Winter/Spring/Summer. How Much Does Restaurant Week Cost? The prices for Restaurant Week are ever changing, as the rotating restaurants, but the most up-to-date prices from the Summer 2017 Restaurant Week were set at $29 for a 3-course prix-fixe lunch and $42 for a 3-course prix-fixe dinner. You should be aware that not all participating restaurants offer the Restaurant Week deal for both lunch and dinner. The list of restaurants indicates which meals are being offered, but make sure you confirm when you make your reservation and indicate that you are interested in the Restaurant Week menu. How Can I Have The Best Restaurant Week Experience? Make sure you make reservations as early as possible and be realistic in your expectations. ABC Kitchen, Morimoto, and any of Jean Georges' restaurants fill up almost immediately, so even with proper planning, you may end up disappointed if you don't secure reservations to your first choice. It's important to have a list of backups ready so after you try the most popular places, you can move down your list until you find a matching reservation. The Restaurant Week experience varies dramatically from year to year, as well as from restaurant to restaurant. 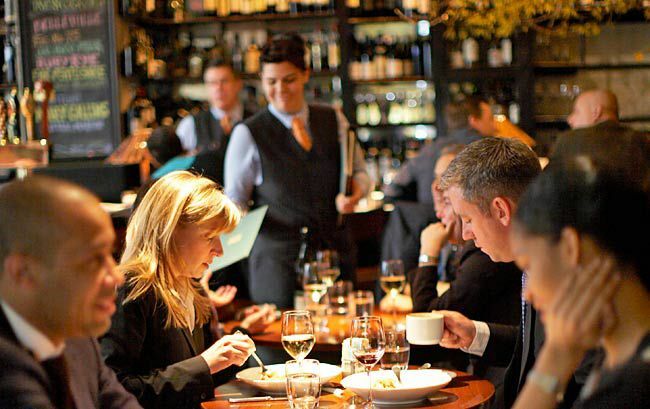 For a specific example, see this detailed account of dining out during Restaurant Week at Gramercy Tavern.